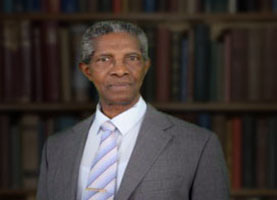 On 22 February 2017, the Court of Appeal in Guyana, in a split decision upheld the decision of the High Court that the legislation which was passed by the National Assembly (Guyana’s Parliament) in 2001 to limit the times that a person could become President of Guyana to 2 terms was unconstitutional. Purportedly section 90 of the 1980 constitution was altered by a two-thirds majority of the National Assembly in order to achieve this result. On 9 July 2015, then Chief Justice Ian Chang in the High court had made the ruling. This decision was made in response to a legal challenge which had been made by a private citizen, Cedric Richardson in December 2014 against the Attorney General and the Speaker of the National Assembly. The present Attorney General, Basil Williams has now stated his intention to appeal the decision of the Court of Appeal to the Caribbean Court of Justice being Guyana’s highest Appellate Court. When Guyana became independent in 1966, its Independence Constitution took effect. In 1978 a constitutional referendum was successfully held under then President Forbes Burnham on 10 July 1978 which altered Article 73 of the 1966 Constitution. This alteration abolished the need to hold a referendum to change certain entrenched provisions in the constitution including presidential powers, dissolution of Parliament and the electoral system. It was following this alteration that the present 1980 Constitution became effective. Article 164 (1) of the 1980 Guyana Constitution allows votes of the majority of the National Assembly to alter the Constitution but subject to subsections (2) and (3). Sub-section (2) establishes two categories of Articles: some in sub-paragraph (a) and some in sub-paragraph (b). Sub-section (2) provides that if a Bill does not set out to alter any of the provisions in subparagraph (a) and is supported by not less than a two-thirds majority of votes in the National Assembly, then it is not necessary to have a referendum. Article 90 which deals with the term limit of the President, is not included in sub-paragraph (a) but is in sub-paragraph (b). It is most reasonable therefore to interpret this as establishing that there is no necessity to hold a referendum with regards to Article 90. Notwithstanding the above provisions, then Acting Chief Justice Ian Chang upheld the contention of the applicant Cedric Richardson that the purported alteration of the Constitution by the 2001 legislation diminishes and reduces the level of democracy enjoyed by the electorate and therefore required the holding of a referendum for such alteration. It is important to understand the context in which Richardson’s writ was filed. At the end of 2014 campaigning for general elections in Guyana was reaching fever pitch and supporters of then President Bharat Jagdeo seemed to have expressed an interest in his running for the presidency for a third term. However, it was the general understanding that proposition was unconstitutional. As events unfolded the question of Jagdeo’s becoming President for a third term after the subsequently contested elections became mute. Jagdeo’s party, the People’s Progressive Party (Civic) eventually lost the 11 May 2015 general elections to a Coalition of parties led by former Army Brigadier David Granger comprising A Partnership for National Unity and the Alliance for Change (APNU/AFC). However, if the present court rulings of the High Court and Court of Appeal are left unchallenged then that will clear the way for Bharat Jagdeo to run as a Presidential candidate for a third time, at the next general elections. This prospect does not seem to be one which the present administration relishes, hence the appeal to the CCJ. In any event, besides directly impacting on the presidential term limit, the rulings of both the High Court and the Court of Appeal would have significant implications for several other constitutional amendments which were made in the past in accordance with Article 164 (1) of the 1980 Constitution. These were made over the years by a two-thirds majority of the National Assembly without the holding of referenda. These include the establishment of several rights-based commissions which gained multi-party consensus before the passage of the relevant Acts. The unravelling of these would prove to be a constitutional nightmare. From all indications the decisions of both the High Court and the Court of Appeal seem to be most irrational as it seems that adequate measures were put in place for the appropriate constitutional amendments to be made. The passage of legislation by a two-thirds majority of the National Assembly in accordance with section 164 (1) of the 1980 Constitution seems to be within the provisions of that constitution. It would be most interesting therefore to see the determination of the CCJ.